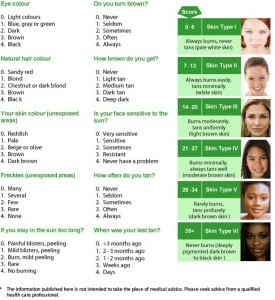 Please review the following Fitzpatrick skin type chart to determine your individual skin type in the areas you are wanting to have treated. This will help us determine the best treatment expectation for you. Click on the image below to enlarge. 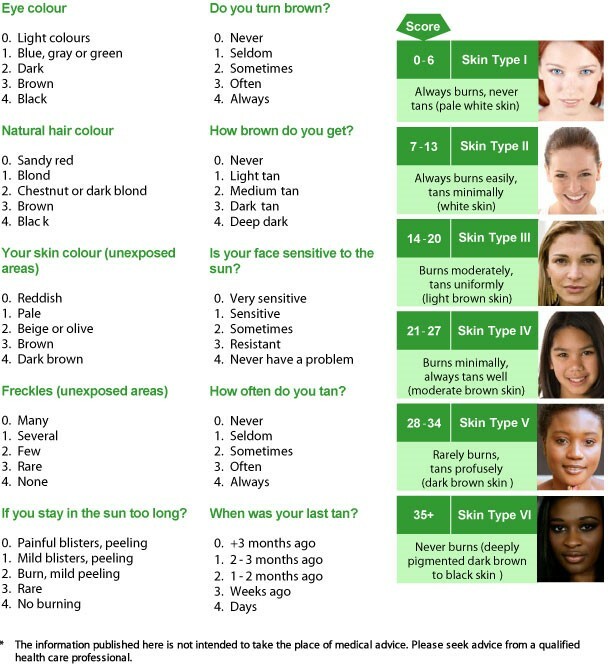 Darker skin types ie: Fitzpatrick Types V & VI, naturally absorb more light than other skin types, which can increase the chance of side effects such as burns and pigmentation. Our DUET and Diode lasers are FDA approved to treat all skin types, however, in our experience these particular skin types achieve better results in fewer treatments with fewer adverse reactions when a Nd:Yag laser is used for their treatments. We do not use this type of laser, however if you search nd:yag saint louis you will find a clinic or two here in Saint Louis. Based on our seventeen years of experience, we believe you will be better served by electing to use this type of laser for your hair removal needs.